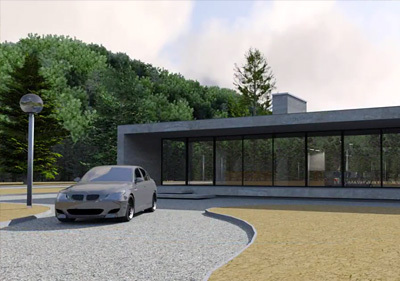 We have made several sample models available for users who want to test Podium Walker with Iray. These models are set-up with Podium material properties, and pre-defined scenes for testing Podium Walker's animation workflow. 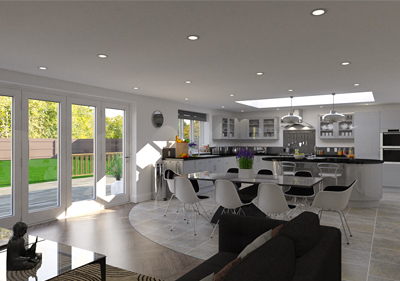 Interior kitchen scene with artificial lighting and furnishings from Podium Browser. 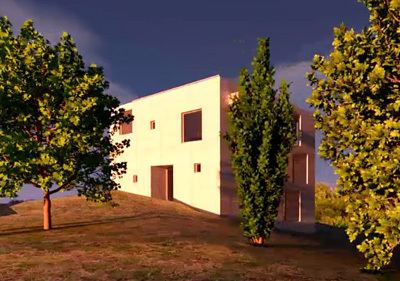 An indoor/outdoor daylight model, ideal for testing natural lighting workflows, comparing physical sky and HDRI options. Another indoor/outdoor model with 360° landscaping, background, and cloud dome. Interior furnished with lights and furniture from Podium Browser. 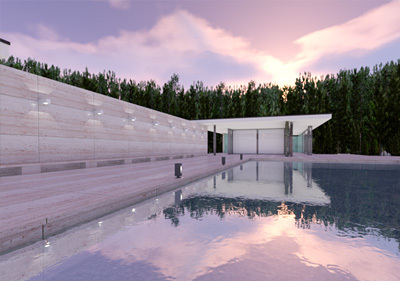 Exterior model of the Barcelona Pavilion with several scenes for testing different natural sun/sky light settings. 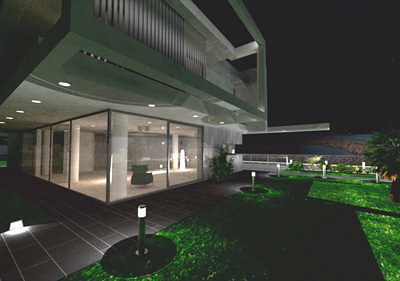 A night-time exterior with a contemporary/modern villa. 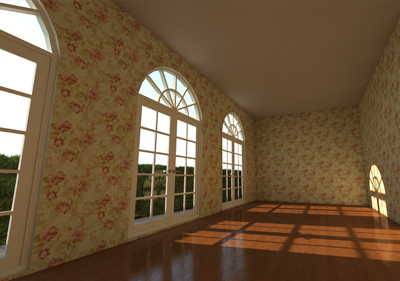 Pre-made animation paths, and interior artificial lighting.